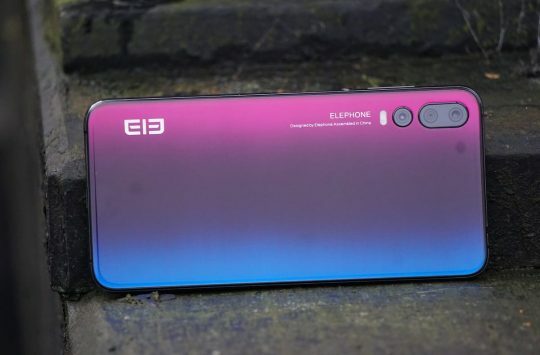 There’s an App for reminding you to drink enough water, there’s an App that can add a lifelike crocodile into your riding photos and there was even a social networking app that lets you find people who simply want a cuddle (we kid you not!). 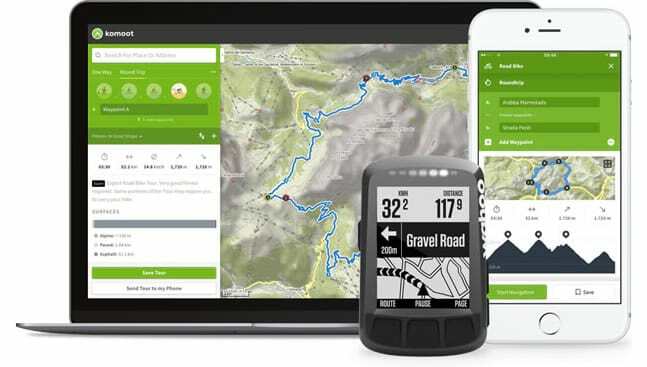 With so many mind-blowing, odd, and useless Apps in the various App stores, there are surely a few that us mountain bikers could find very good enough to install. For this list, we’ve asked around the office and jotted down a few apps that we use ourselves that you might not already have installed on your phone. You won’t find Google Maps, Whatsapp or Strava listed below. 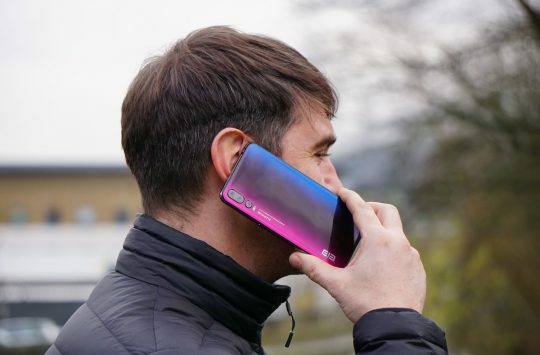 This app allows you to download user-generated maps for mountain biking, hiking, walking and road cycling, but it also offers a cool augmented reality feature called Skyline, which allowed a friend of mind to find a secret submarine base in China (true story). Skyline lets you explore the area you’re in simply by viewing the world around you through your phone screen. The app will then overlay points of interest over the real world, see the image below if this techno waffle isn’t making any sense. While the augmented reality feature is cool its the database of user-uploaded rides that makes ViewRanger really useful especially as you are able to filter rides by degrees of difficulty, and search by simply dragging the map interface around an area of interest. 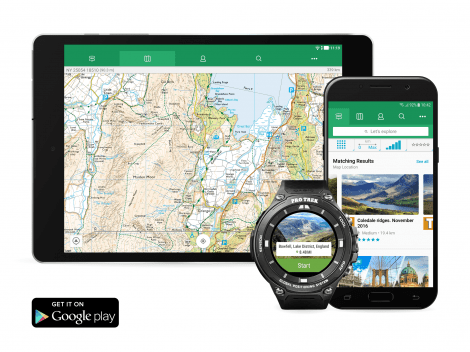 ViewRanger is available for Android and iOS devices, and while most trails are free there are paid for options such as high-quality offline maps. 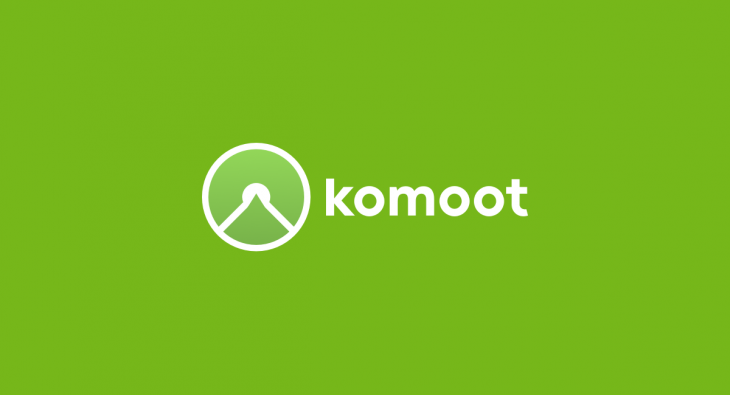 Komoot is another map/navigation app, but this one has one extremely clever feature, it will help you to create new loops and rides with just a few taps of the display. 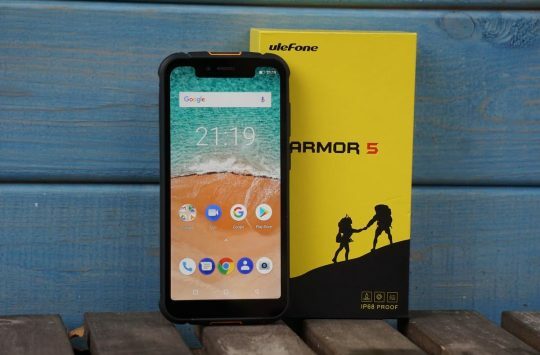 Upon firing up the App you are presented with a map, points A and B, and fields which allow you to set the sort of activity you’re planning, your fitness level and if you want to make your ride a loop or a one-way journey. With your start and end points selected you can then choose, on the map, where you would like your ride to take you and Komoot will do its best to accommodate you while automatically generate a suggested ride. You also have the option to move points around so and fine tune the ride that Komoot puts together. While the App is very good, it is worth keeping an eye on newly created routes and ensure that they use rights of way that allow cycling as it can sometimes add the odd footpath in which could get you in bother. This is the one app on this list that we hope that you never have to use. The St Johns Ambulance app is available for Android, iOS and Blackberry phones (suggesting that it might be in need of an update) and provides basic first aid advice in case of an emergency. Of course in an ideal world we would all have some sort of real first aid training, but if this simple app can save a life then it’s well worth installing. Relive says that its app can turn your activity into a “legendary” movie. 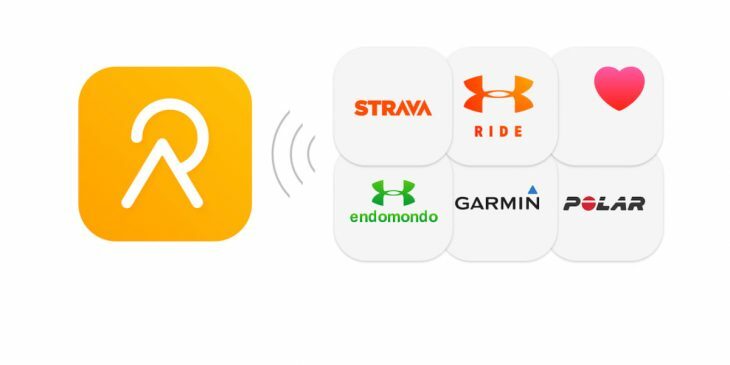 The way it does this is by first being linked to your activity tracker account or in other words you need to log in to Relive via your Strava, Garmin, Map My Ride, Polar or Endomondo account and allow Relive access to your recent rides (and also your photo gallery if you want to automatically add snaps taken along your route). Relive then takes the GPS tracking data and overlays your ride on a 3D map then animates it for you to enjoy at your leisure. It’s a useful app for sharing your ride activity with your friends or family and it gives you a good overview of where you have ridden. It’s not a productive app, but if you like to share your rides this does it in a more engaging way than a simple map or a few images. 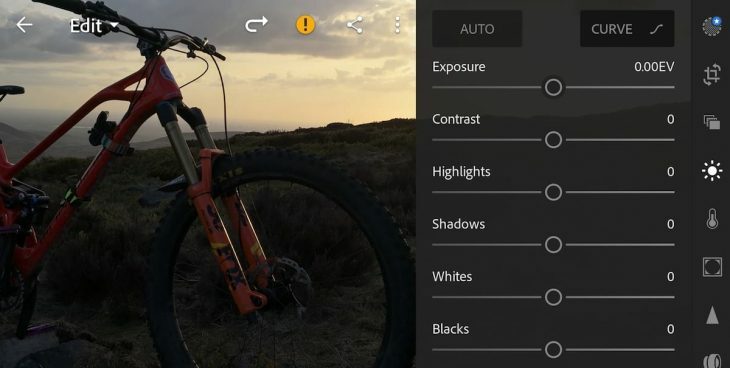 To be honest, Lightroom is an app you should have on your phone for everyday use rather than primarily for riding as it can really bring those mobile photos to life. 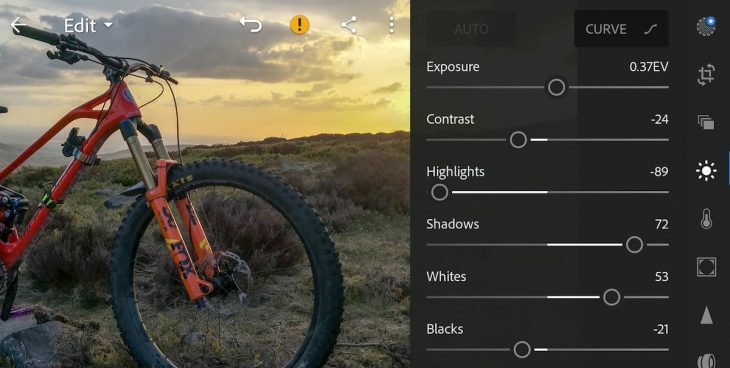 Even if you have a top of the range flagship smartphone with Leica lenses, Lightroom CC is still able to add a little extra pop to your images without spoiling quality or over manipulating things. As it is designed for use on a touchscreen, Lightroom CC is super simple to use and boasts quite a lot of powerful manual editing tool, but what makes it really super is the ‘Auto’ enhance feature which generally takes a good photo and makes it a great one. Best of all this Adobe app free to use although there is a paid upgrade that gives you access to additional features. Ventusky is the perfect weather buddy. There are a lot of weather apps available for smartphones, but chances are you will have seen that each app/service can vary wildy from one to the other. 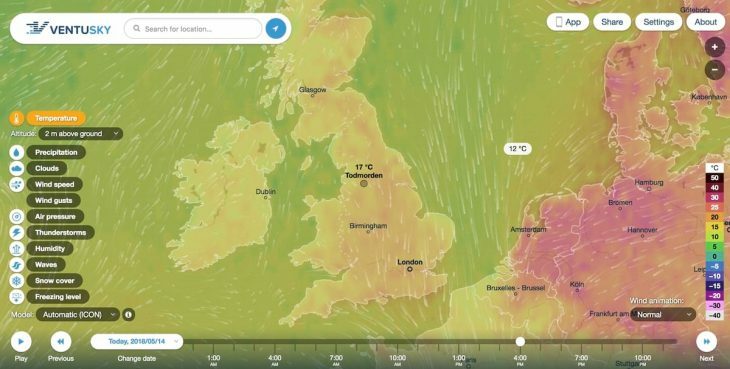 Google tells you it’s going to be sunny while the BBC predicts rain… We’ve found that Ventusky is a pretty good service for tracking weather in real time, plus it has very cool animations, allows you to track weather fronts and gives you an overview of temperature, wind, rain and even waves for those surfers out there. Again Ventusky is available for iOS and Android (although the iOS version does seem to be a smoother user experience) but there’s also a really good desktop version too. Never suffer a bad coffee again! After an amazing ride, there is nothing worse than sitting down at the nearest cafe only to be handed an instant coffee… With Beanhunter you can research the best cafes in your area then using Komoot (above) you’ll then be able to plan the best route to take in the best coffee and cake breaks. Beanhunter works globally so it’s great to use while traveling too, now if anyone knows a similar app for pubs please let us know. So that’s that for our top 6 picks of apps that make mountain biker safer, fun and more social. Do you have any suggestions for other apps that haven’t made it on to this list? If so pop them in the comments below. Bike Hub is one of my favs – bike-specific Sat Nav with quiet routes using the systrans network. It doesn’t always get it right, but I’ve found some amazing routes in places I wouldn’t know where to start navigating through. Ventusky is awesome! Paid the £2.99 straight away to get all the features, beautiful app that really let’s you see the weather over the country, or Europe. Have been using viewranger since 2006. Once you have the os maps you want on your phone you don’t need phone signal, just GPS. I plan routes on my tablet then upload to my phone and use it like a Garmin. Fantastic app.